The ISARA WARM Clever Cover thrives on innovation. The new smart functionality lets you decide on how to wear it. Depending on what carrier you use or what way of carrying you prefer you can pick any of the 4 ways of gripping. You will love the # patent pending # features of this covers and the state-of-the-art fabrics that make you wanna wear it all year long. 100% organic cotton, soft and cozy it is just wonderful for autumn chilly weather or spring nights. Keeps baby dry without having to worry about dressing them in special clothing to keep them dry. Were it by itself or together with the ISARA WARM CLEVER Cover - with easy to use snap fasteners, the warm cover can be attached easily and rapidly to the rain cover. Place the ‘Warm’ cover inside (under) the ‘Rain’ cover and secure the two covers together with the snap fasteners. Easy and ready to go. When using both covers; use the non detachable straps of the ‘Rain’ cover on the top, and use both pairs of loops on the bottom, for any of the 4 easy-to-attach wearing styles. *Notice! ISARA Warm Clever Cover does not come with a hood included in the package. CLASSIC - This type of gripping is mostly suitable for buckle carriers and front carrying; So, are you a smart casual kind of mommy or daddy? You will love this classic style. EASY - 3 seconds put-on gripping; this is the easiest way when using any carrier(even one shoulder carriers), for front carrying or hip carrying. Busy parents, impatient babies or running late? This easy to attach apron-style is the one for you. ON-THE-GO Easy and fast; Great for mountain climbers, nature lovers and family trips, you can easily take your furry friends with you for a walk while wearing your baby. 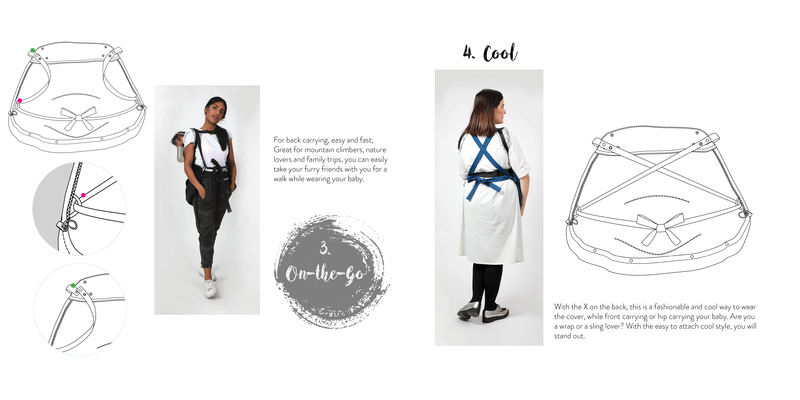 COOL - With the criss-cross, this is a fashionable and cool way to wear the cover, while front carrying, back carring or hip carrying your baby. Are you a wrap or a sling lover? With the easy to attach cool style, you will stand out. We handpicked top quality fabrics - 100% cotton fabric, that can be found in our crystal clear soft color. ISARA WARM Cover Is soft and cozy and just wonderful for autumn chilly weather or spring nights. 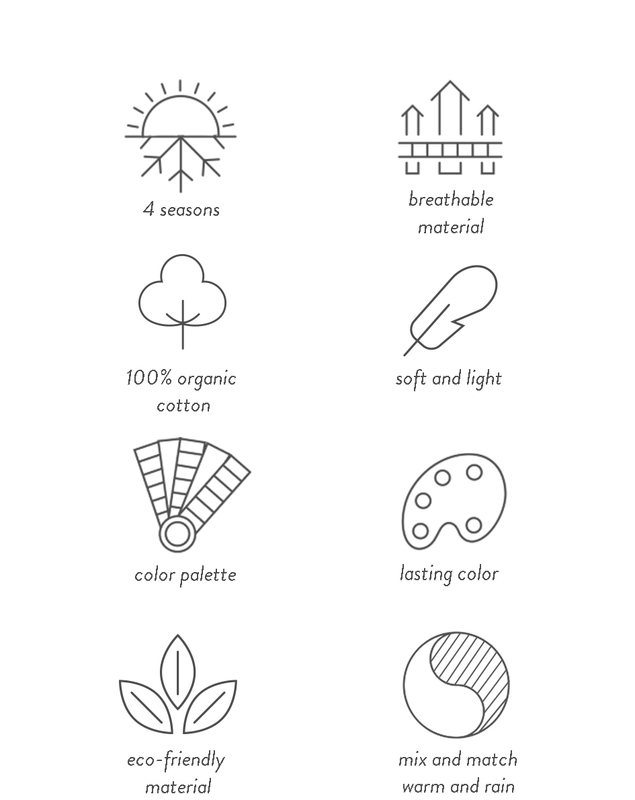 Care for your 100% organic cotton cover by washing it on a delicate cycle, using cold water. Do not tumble dry. Hang dry. Do not bleach or iron the cover.